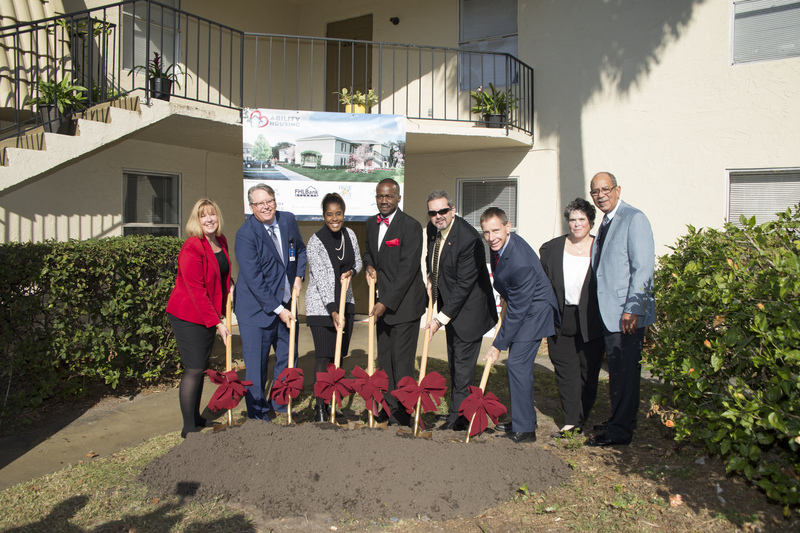 Representatives from Ability Housing, Florida Hospital/Adventist Health System and the Town of Eatonville joined Orange County Vice-Mayor and District 6 Commissioner Victoria P. Siplin to formally break ground on Phase 1 of an $8.8 million renovation project to the Wayne Densch Center on Dec. 14. The renovation will convert the Wayne Densch Center, an existing housing complex located in the City of Eatonville, from 64 units of transitional housing to 77 high-quality apartments with 50 percent of the units to be reserved as permanent supportive housing apartments for the homeless. The renovation will bring significant improvements to the buildings, including new roofs, exterior renovations, interior finishes, ADA upgrades, modernized kitchens and energy-efficient electrical and air conditioning systems. Orange County Government will contribute $2 million to the project, and construction will begin in early 2018. The renovation is part of Mayor Teresa Jacobs’ INVEST in Our Home for Life initiative, which dedicated $5 million in funding towards establishing additional affordable family housing. 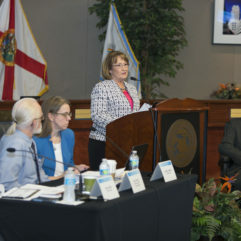 Additionally, Orange County remains the single largest funder of public services for the homeless in Central Florida, allocating more than $7 million in direct funds in the last fiscal year. The project was graciously welcomed by the 85 residents that currently call the complex home, many have lived at the Wayne Densch Center for more than 20 years. Wayne Densch Center, Inc., which owned and operated the center as a transitional housing community for more than 18 years, donated the property to Florida Hospital in 2016. In turn, Florida Hospital partnered with Ability Housing to operate and transform the property into permanent housing. 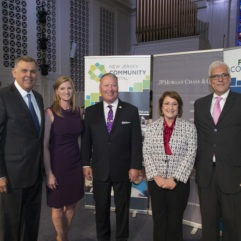 Additional funding comes from the Florida Community Loan Fund, Inc., Homeless Impact Fund at the Central Florida Foundation, the Federal Home Loan Bank of Atlanta and the LISC-NEF/Northrop Grumman “Bring Them Homes” initiative.